Earlier this week I did some planning and cutting. and make it into the big block. 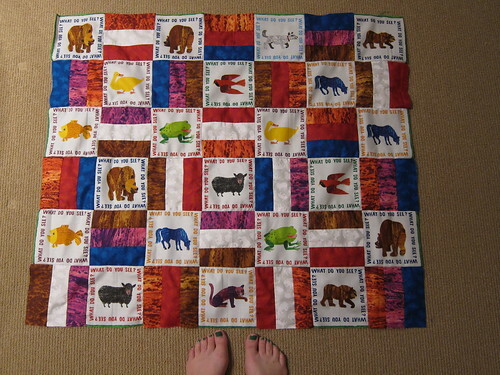 All I have to do now is frame it, make a back, baste, quilt, and bind. 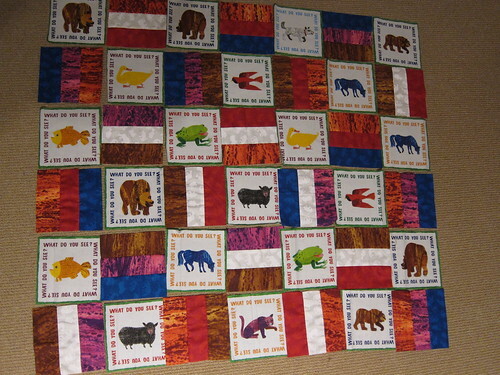 This entry was posted in Quilting and tagged baby quilt, Eric Carle. Bookmark the permalink. CG, you never cease to impress me. Thanks! 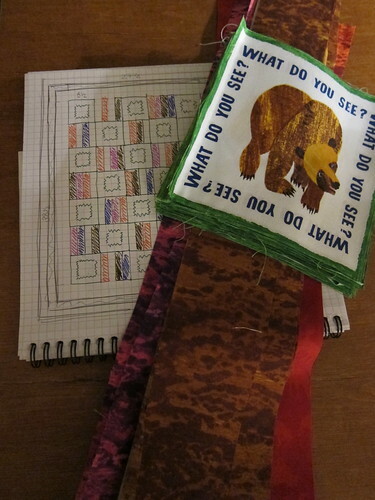 I saw your Kindle case you made on FB and it looks great. Thank you! I actually made two of them out of the same fabric. The other one is reversed so that it is predominately yellow on the front with a blue back and flap. I didn’t post that one because I’m giving it to a friend for her birthday. I’ll have to send you a pic of i though.